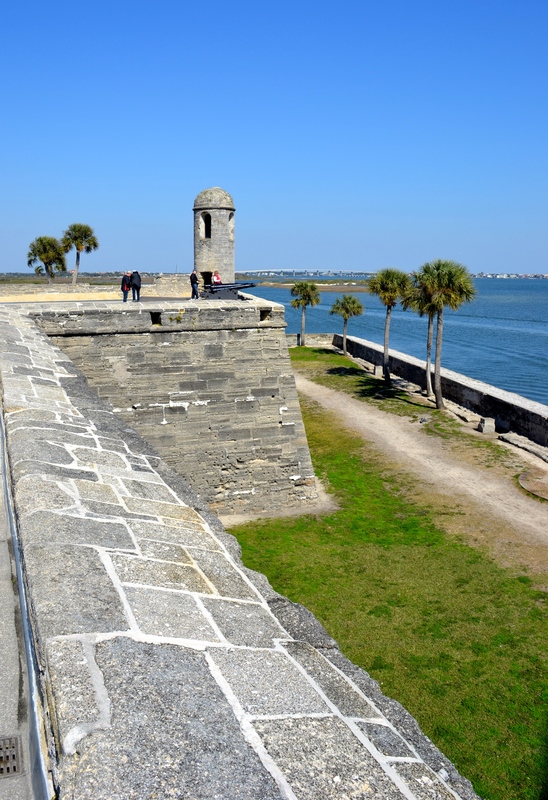 It’s the middle of the winter and we are in the middle of our sojourn at St. Augustine, Florida, the oldest town in America. They are celebrating their 450th anniversary this year, so there is a lot going on here. Then again, this is one of those hidden pearls where there is always a lot to enjoy, even when there’s nothing special happening. When we pulled into town and moved into our campsite near the ocean, we were surprised to see vehicles driving on the beach. Yes, this is one of the few places in the world that accommodates the sport. The beach is a hundred yards wide at low tide allowing plenty of room for walkers, bikers, kite flyers and four-wheel-drivers all at the same time. 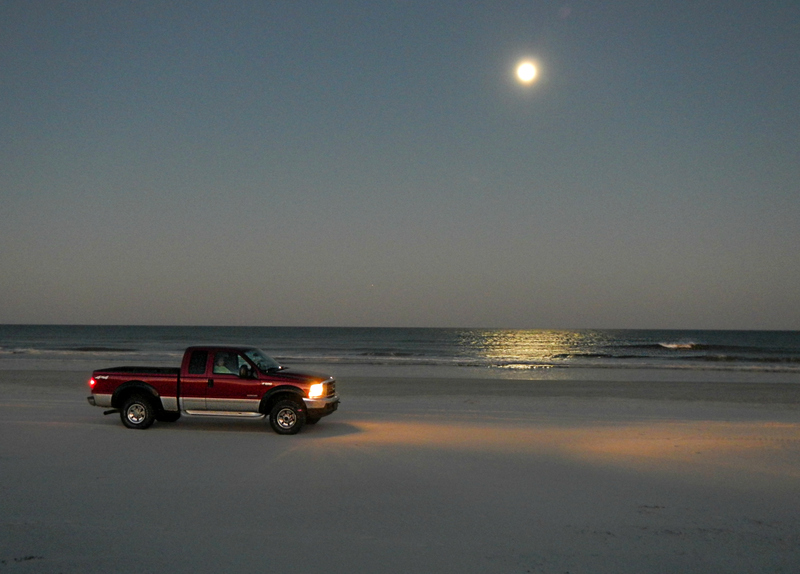 4X4’s are permitted to drive on the beach for a ten-mile stretch. 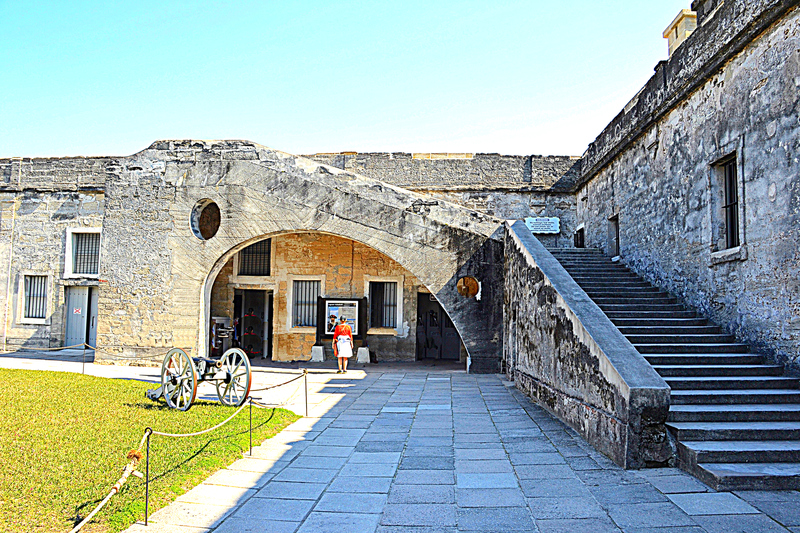 Castillo de San Marcos sits on the waterfront downtown. I loved the graceful grand stairway above its asymmetrical arch. 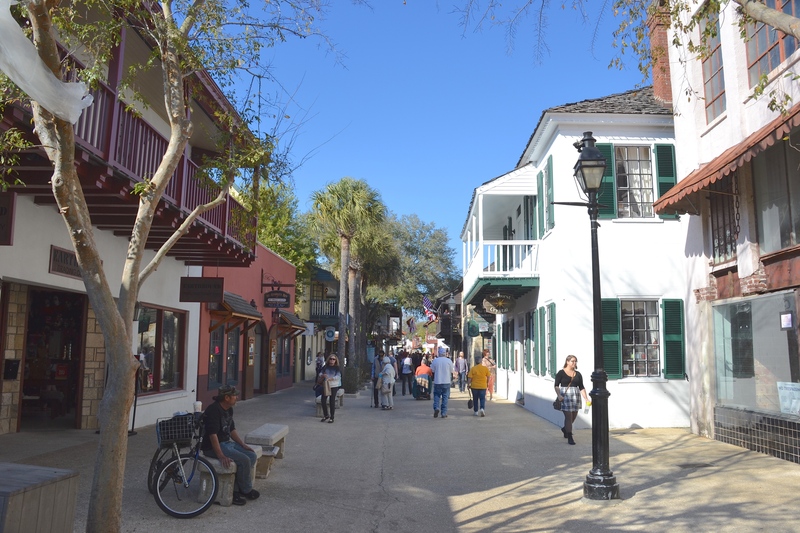 St. Augustine is built to accommodate the thriving tourist industry and there are trolleys running tours every day throughout the historical downtown district. Some of the old narrow streets are closed to vehicle traffic so visitors may peruse the old shops at their leisure. St. George Street is now a shop-lined attraction for walkers only. 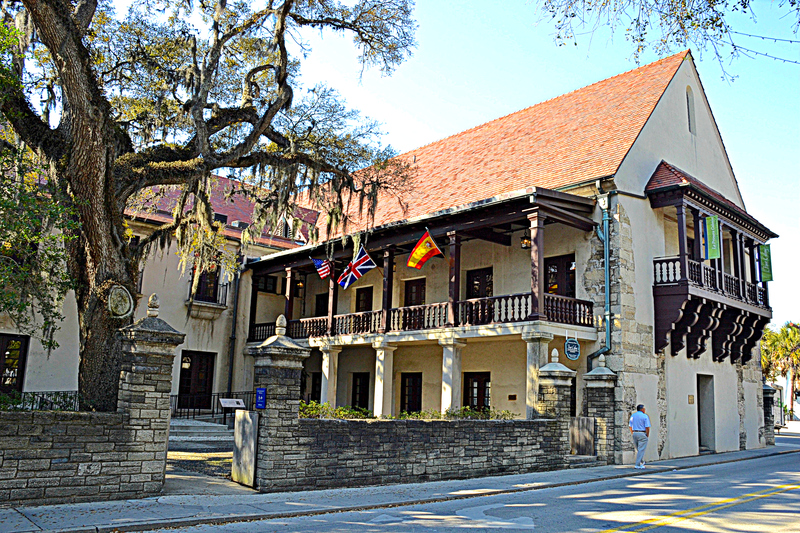 Many of the original buildings – like the old governor’s house – were built with coral stone. 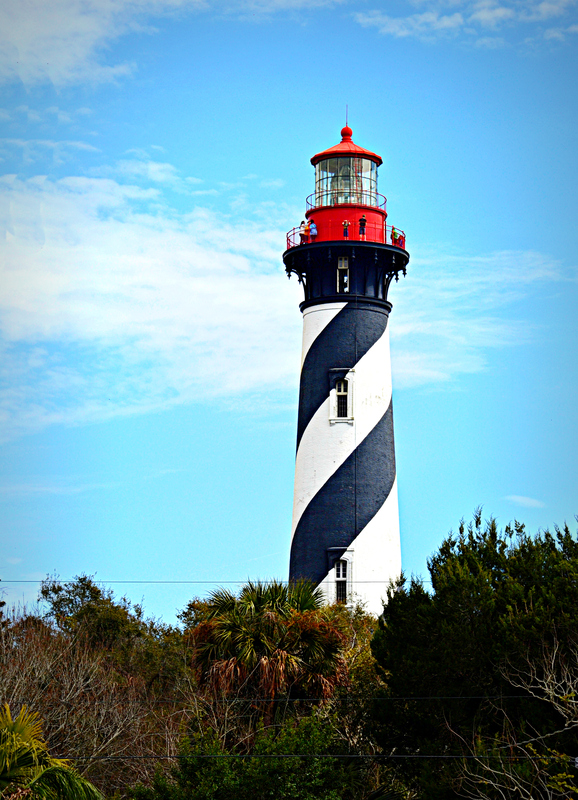 A great place to get an overview of the area with a bird’s-eye view is the huge old lighthouse dating back to 1861. One of the more recently-built landmarks, it was built of brick. In fact, it took more than a million bricks to construct this 165-foot-tall edifice, one of the tallest in the country. 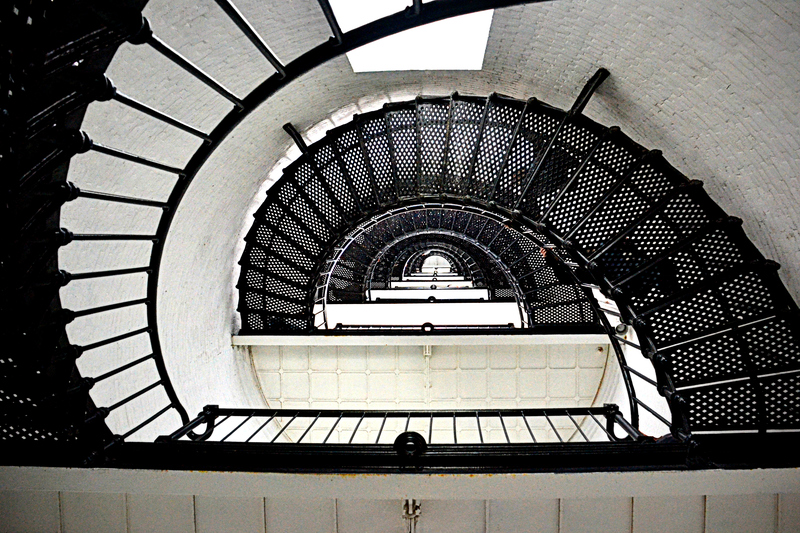 Only the young and most physically fit will make quick work of the 219 steps to the top of the lighthouse. 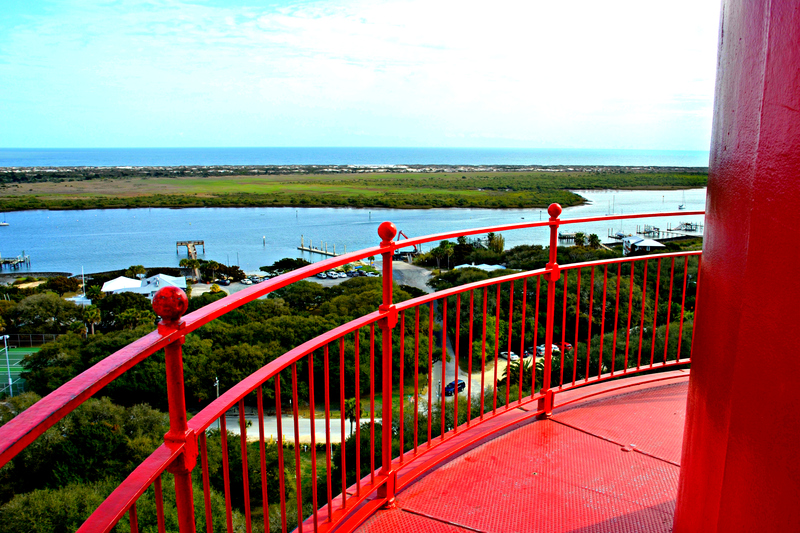 The tower climb offers a rewarding view of the surrounding area and nearby waterfront. Kaye and I are engaged in an ongoing challenge of testing the local eateries. It became apparent very early on that we will certainly run out of time before we manage a comprehensive knowledge of the plethora of amazing culinary options here. But we’ll do our best. Average temps here are in the 60’s during the day and the mid-40’s at night, so we are enjoying our success at finding an affordable location for missing the brutal winter weather back in Michigan.